The Casemaster Q-Vault 2x2 pool cue hard case is one you should consider to buy to preserved your beloved cue sticks. Its hard exterior and cushioned interior will definitely protect the 2 butts and 2 shafts you place inside it. 3 What makes Case Master Q-Vault 2x2 Pool Cue Hard Case stand out from the rest? Have you gone tired of not having enough cue sticks with you because your pool cue hard case can only hold one? Well, you’ve stumbled upon the right review. 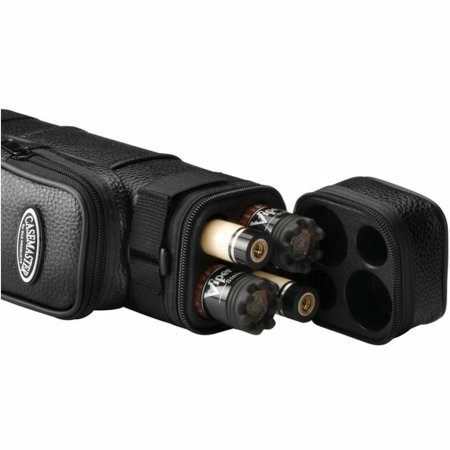 The Casemaster Q-Vault 2x2 Pool Cue Hard Case is the perfect dual pool cue case for you. What makes Case Master Q-Vault 2x2 Pool Cue Hard Case stand out from the rest? The Casemaster Q-Vault 2x2 pool cue hard case is uniquely designed and incomparable to other cases. While other cases are usually oval or circular in shape, this case is square shaped. Heads would surely turn with how pro-like this case looks once you carry it. 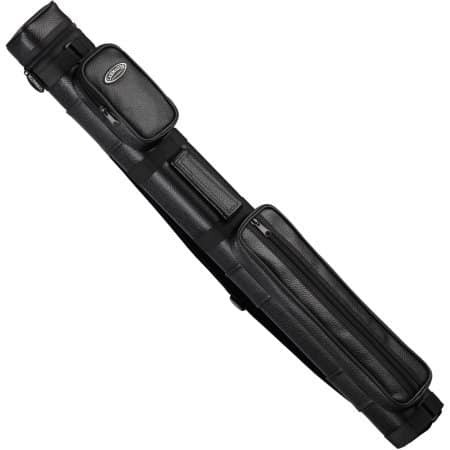 The Casemaster Q-Vault 2x2 pool cue hard case is definitely one to have for both beginners and professionals. 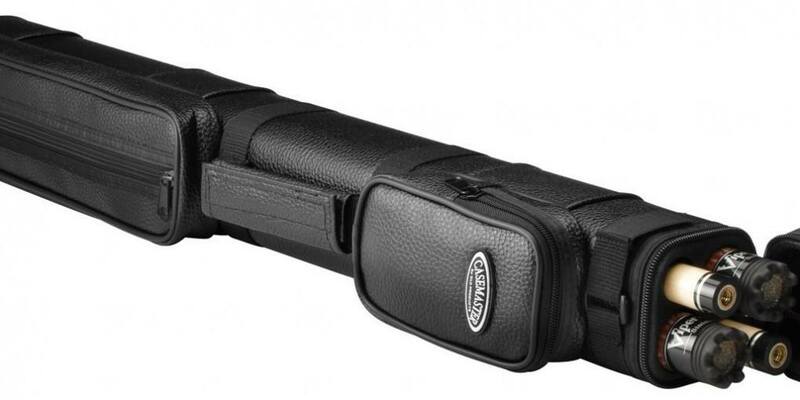 You can never go wrong with this pool cue ﻿﻿hard cas﻿﻿e as it houses all you need. More than that, its affordability makes it almost a sin for anyone not to purchase it. It’s unique, protective design, among others, would surely be a wonderful home for your pool cue sticks. Exterior pockets can hold the most important accessories you need for your game of pool such as cue stick chalk, tips, cleaning accessories, etc. The Casemaster Q-Vault 2x2 pool cue hard case has a 56% 5-star rating, 21% 4-star rating and 23% of the rest of the rating values. Nonetheless, the average overall rating still stands at 4.1 out of 5 stars.